After my delicious dinner and my cosy night in the Hotel de la Côte d’Or, I stroll through the old town stretching along the (still young) river Seine. 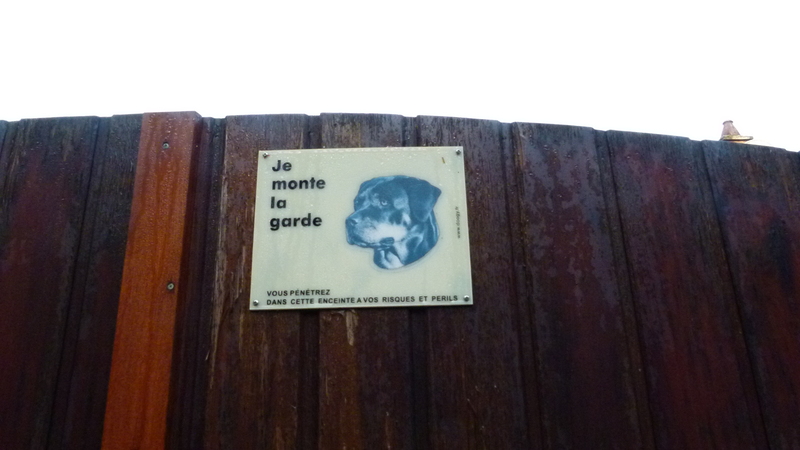 A sign points to the source of Douix. It emerges as an artesian well adding ambiance to a small, romantic town park. 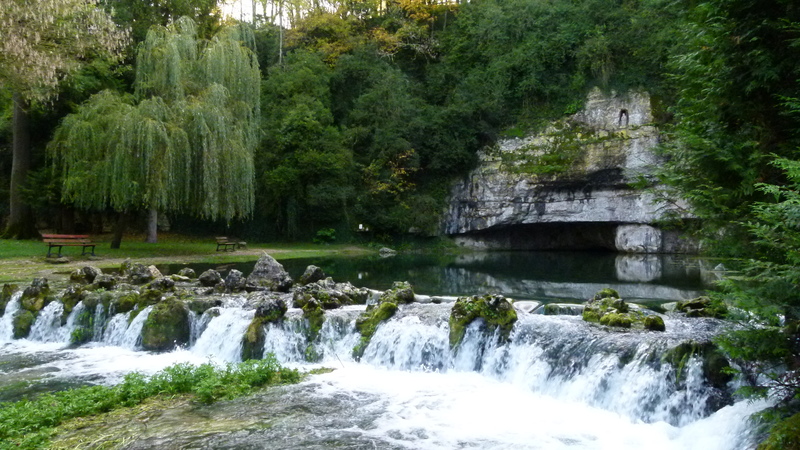 The Douix then flows into the Seine. I climb the hill. The old castle is in ruins. This inscription says that it was destroyed by Henry IV in 1598 – at request of the citizens. The citizens were tired of the armies passing by continuously. The church St. Vorles is a few steps away. I find the door locked. 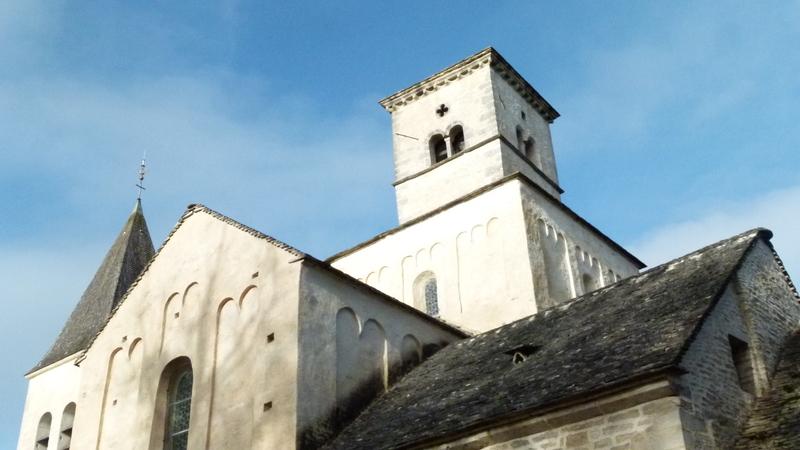 The church dates from the 11th century and keeps elements from Carolinigan times (Guide Michelin, Bourgogne, p. 508). 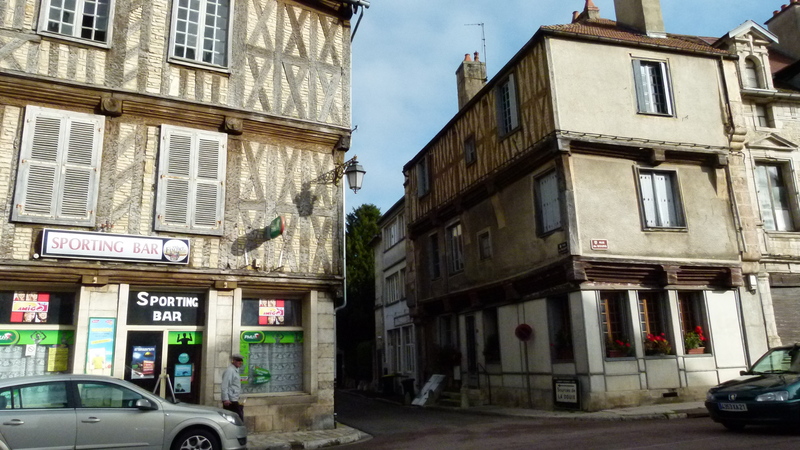 … and with old houses, many of t hem half-timbered. 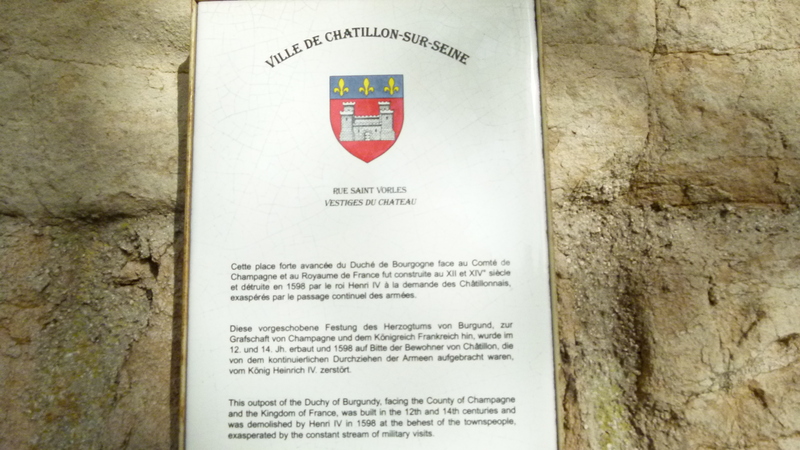 Châtillon is proud of their Musée du Pays Châtillonais that hosts the celtic treasure of Vix. The museum has moved out of town. Also not far from here are the Morvan mountains where Cesar defeated the Helvetians and Vertingetorix (Bibracte 58 BC and Alesia 52 BC). Pinot Noir and Chardonnay are grown around Châtillon. La Route du Crémant invites to visit the caves and taste the heritage of the Châtillonais: The Cremant de Bourgogne Châtillonais. I bought a dry Crémant rosé – I do not remember the name of the winegrower. 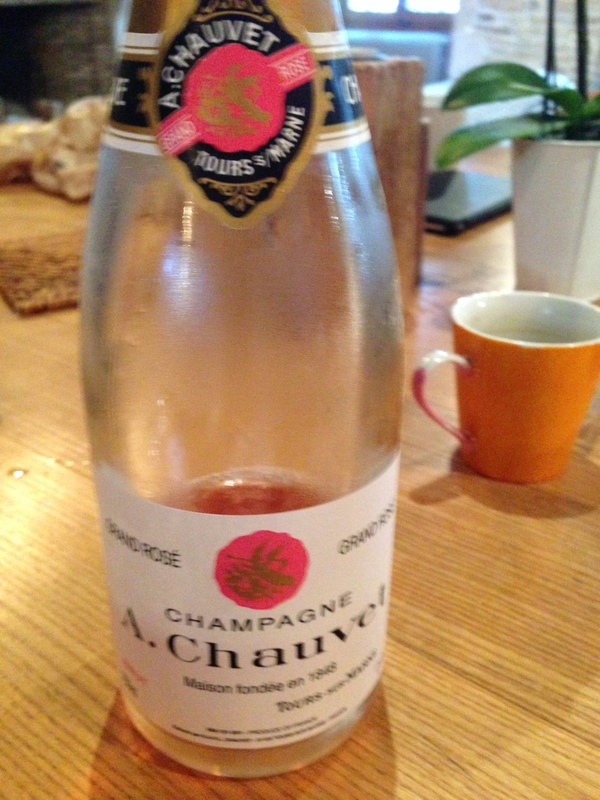 I liked this Crémant, when we shared it later. Perhaps I will come back and visit this wine region that is off the beaten path. 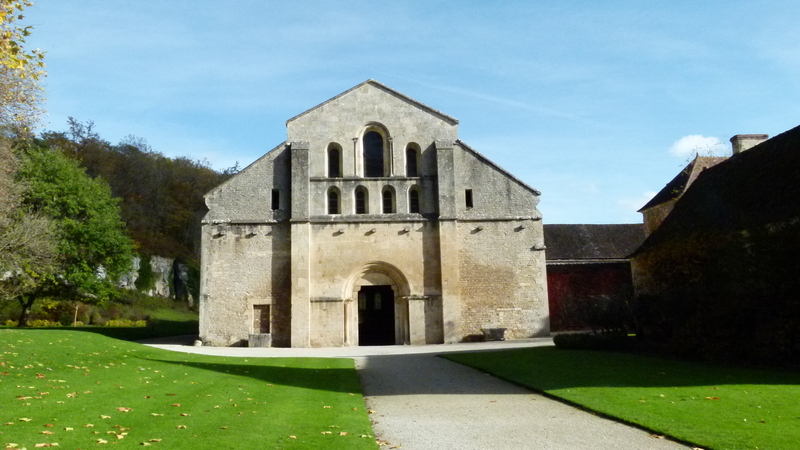 Next I drive to the Abbaye de Fontenay, about 30 km south from Châtillon-sur-Seine. This Cistercensian monastery, located in a valley surrounded by hills, was founded in 1118 and has been restored recently. 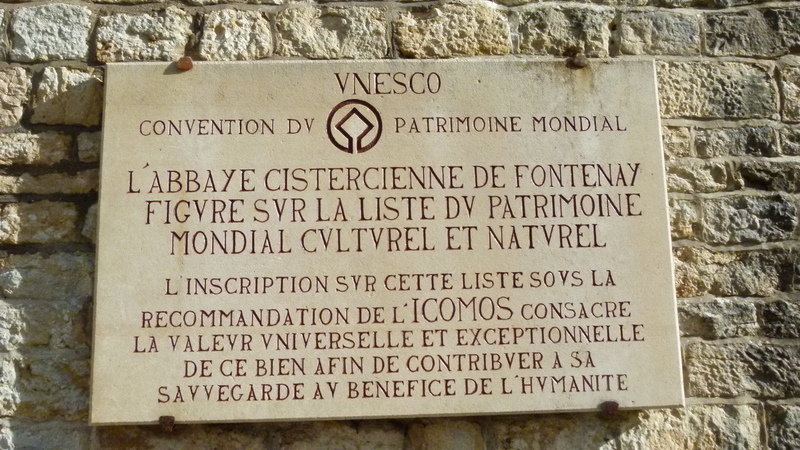 It is on the list of Unesco world heritages. I arrive shortly before twelve – just right for the next guided tour that starts at twelve. 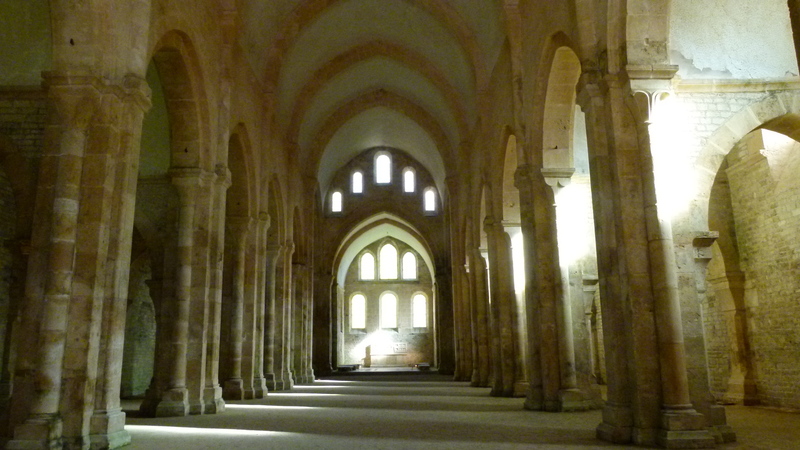 The tour begins with the romanesque church from the twelfth century. The inside is not adorned and invites to meditate. Nothing distracts from contemplation. 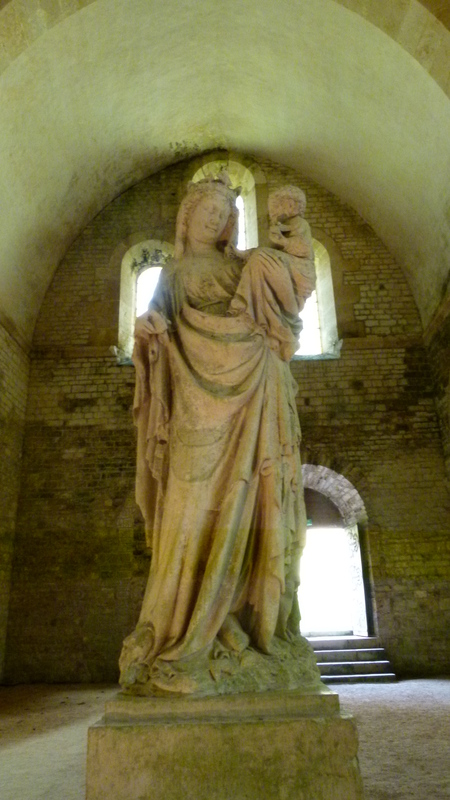 The guide is very proud of the statue of Maria smiling at her son. Usually, he says, Maria does not smile at her son, because she feels what his destiny will be, but this Maria smiles. 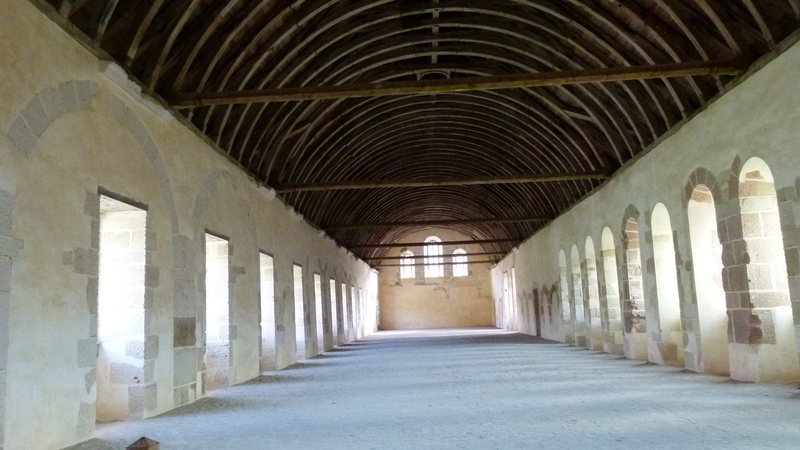 Directly neighboring the church (and separated by some steps) is the dormitory with its vaulted wooden ceiling. 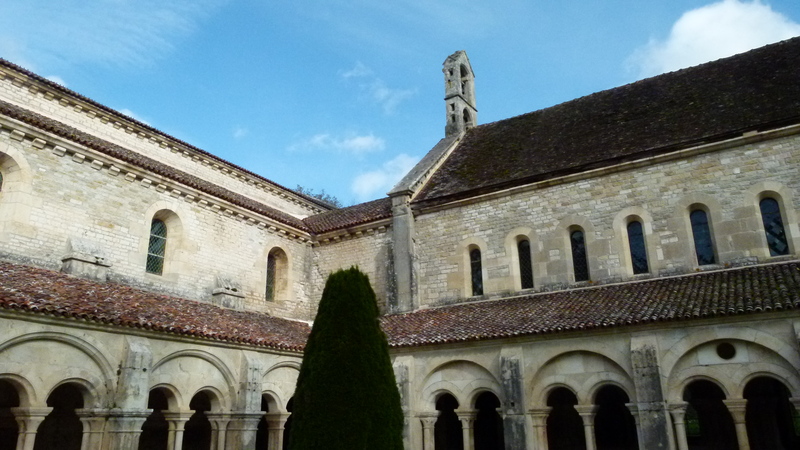 Also the cloister is unadorned – the Cistercensian monks wanted to focus on praying. In the adjacent rooms there were a library, a congregation hall and one room with a chimney place – this was for copying manuscripts. This mill drives the hydraulic hammer of the forge. 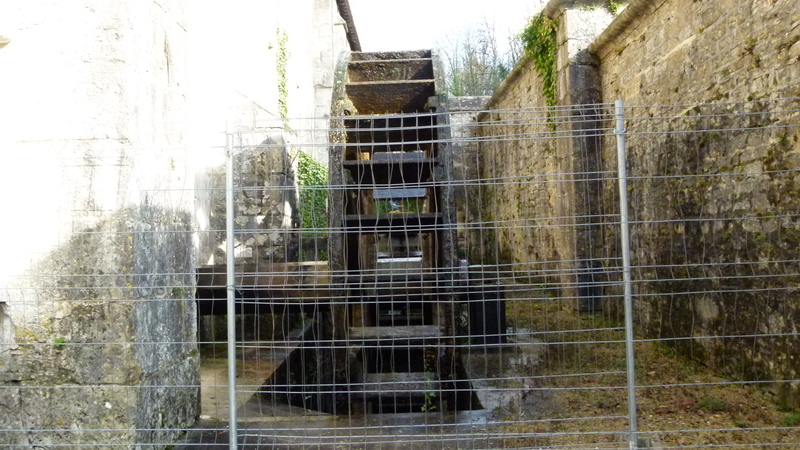 It was the first metallurgical factory in Europe – invented by the Cistercensian monks in 1220. The garden is well kept with an enormous plane tree that is several hundred years old. Source: Guide Michelin for Bourgogne, page 476. 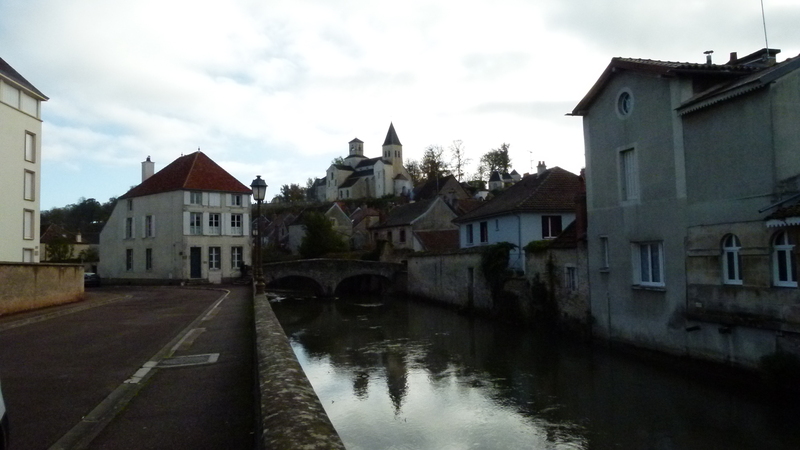 After having enjoyed all that culture , I continue my way to Noyers-sur-Sérein. 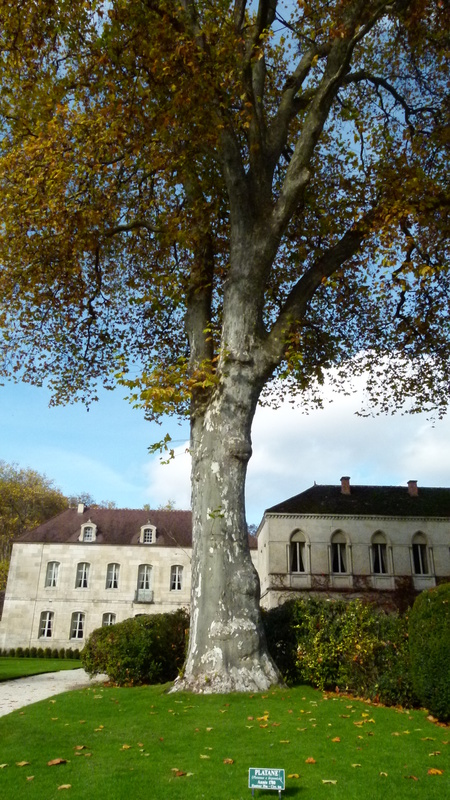 There are many places called “Noyers” or “Nut Tree” in France. My GPS is confused and I take out my Michelin map to find the way, when I noticed that I am going into the wrong direction. 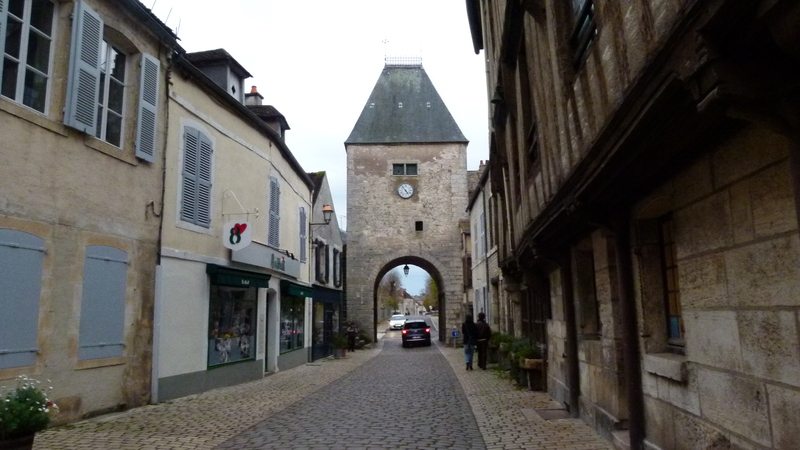 Noyers-sur-Sérein is a pretty tiny town with cobbled streets and woodwork houses. It is a half hour drive from here to Chablis. I retrieve the key in the grocery shop and find an apartment on three levels. It is cramped and not really tidy. The three beds are too narrow to be comfortable for two persons, though they advertise this apartment for 6 people (three beds à two persons). The grocery shop looks after the apartment – but I do not really feel welcome, when I retrieve the key. It seems that Julie, the owner of the apartment, is not rewarding the grocery shop for looking after her vacation rent. 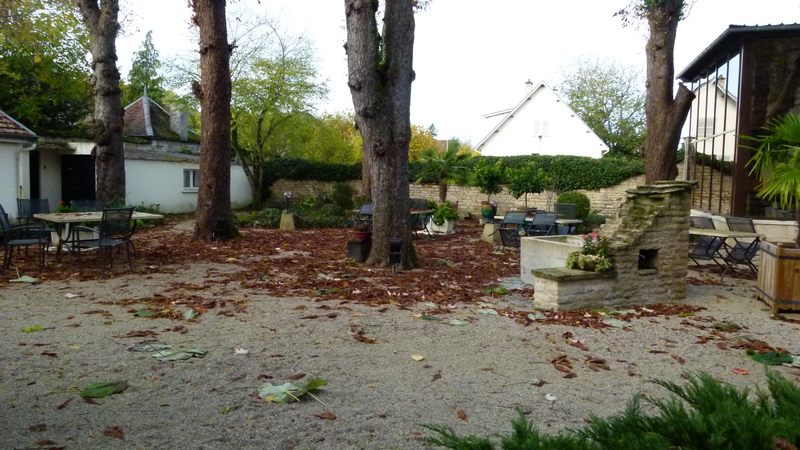 However, this place serves the purpose, as it is located close to Chablis where we plan to have our wine tastings. I settle and wait for my friends to arrive from Lyon. On the way to Burgundy, my GPS guides me safely to Châtillon-sur-Seine. I find the Hotel de la Côte d’Or and this is s exactly the charming hotel that I have dreamt of. It is not too big, has cosy small rooms with spotlessly clean bathrooms and it is quiet with the view of this November garden. I find a hearty welcome in the large reception hall. There is a fireplace and a solid wooden table with two benches that invite me to sit down and have a chat with the old farmer that watches the people coming and leaving. After seven in the evening, couples and groups enter the reception hall saying “we have reserved a table” and they disappear behind a “mysterious” door. 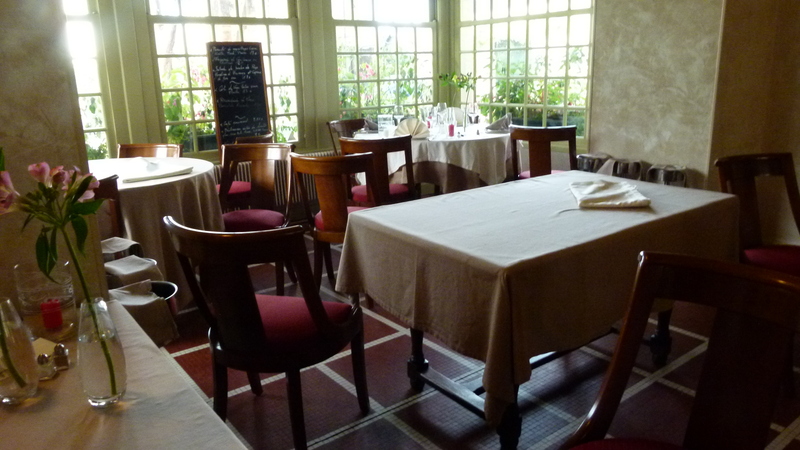 I follow them to this homelike restaurant – the kind of restaurants I love in France. A very friendly and agile young lady guides me to my table. Her mini jupe may be a little short for her, but she wears it with such a charm that she just looks great. She is alone to serve about ten tables, and not one guest feels neglected. They all enjoy one course after the next – and one glass of wine after the next. An ambiance of happiness and humor fills the room. Once the charming lady carries a bottle of wine and a bottle of Coke on her tray. I hear a voice say “why do you bring ME a Coke – ah, okay, it is not for me…” and he happily tastes his wine while the Coke is being delivered to another table in the corner. In the kitchen behind the clapping door there are three young cooks. I hear friendly voices accompanying their busy activity – and the guests are obviously all pleased with the results. 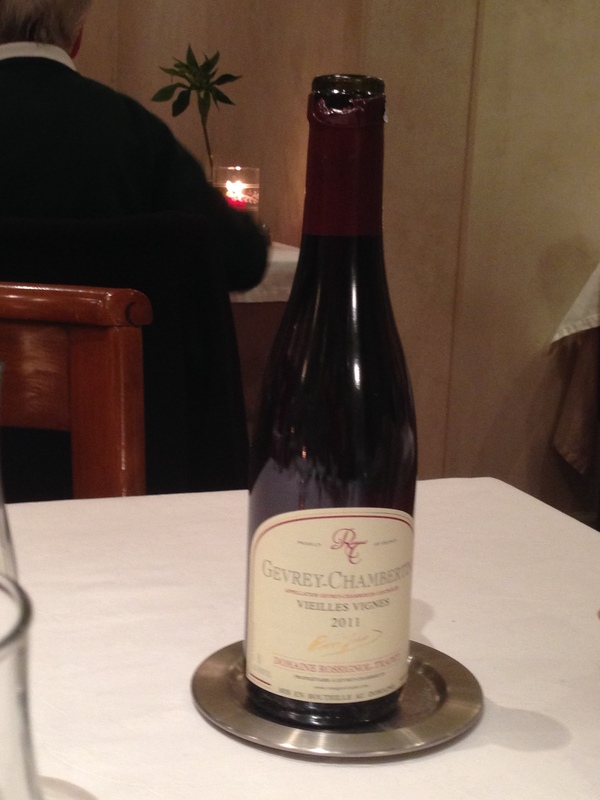 From the menu proposed I just take one course – a steak from Charolais cattle and a half bottle of Gevrey-Chambertin vieilles vignes 2011. And for the dessert I have this cheese snack: Les Amis de Chambertin, Epoisses and some fresh white cheese. I have kept some wine to match the cheese. I love the fork and knives of “old French style”. 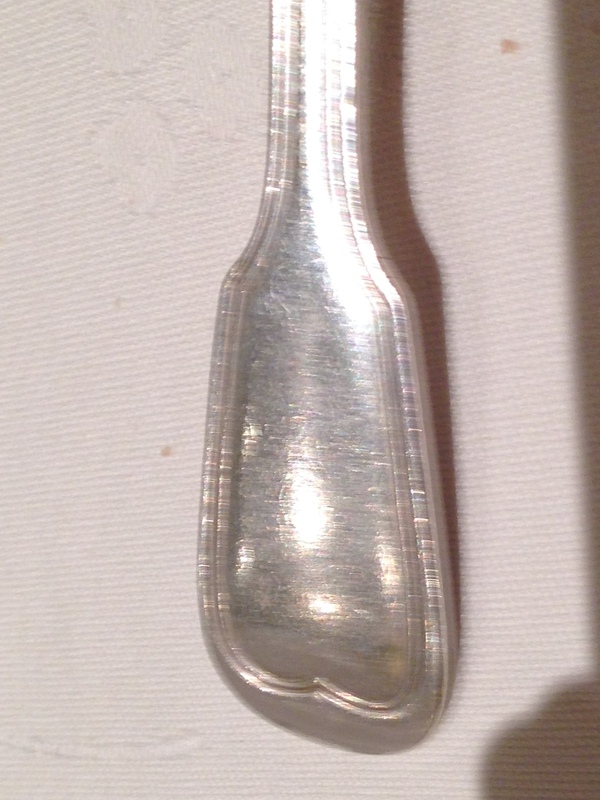 It is the silverware that I know from my childhood. My Swiss grand-mother had ancestors from France. In the morning I share my breakfast with an old lady and her tiny dog. The breakfast is typical French: A transparent coffee with some milk, a croissant, some pieces of white baguette, some butter and some jam. While the French celebrate their meals later in the day, their breakfast is very frugal – just to wake them up gently. Yes, I am in France! And I like to be here. On the third weekend of November, the Hospices de Beaune run their wine auctions and Beaune, the wine capital of Burgundy, turns into a market place for tasting and buying wine as well as local products from Burgundy and France. Some of my Russian friends love the wines of Burgundy. They come to Beaune every year to taste wines, stroll on the markets and absorb some culture on the way. Also this year Larissa and three of her friends from Petersburg plan to visit Beaune. This time they also add a visit to Chablis and the Champagne. They invite me to join them and I accept. Thank you for giving me the opportunity to rediscover Burgundy that I had visited about 30 years ago. My friends have attended trainings in wine tasting in Petersburg and have carefully practiced tasting good wines. They know about the good domains and climats. They check the look of the wine. Then they smell, sip, sway the wine in the palate – and also make use of the spittoon. 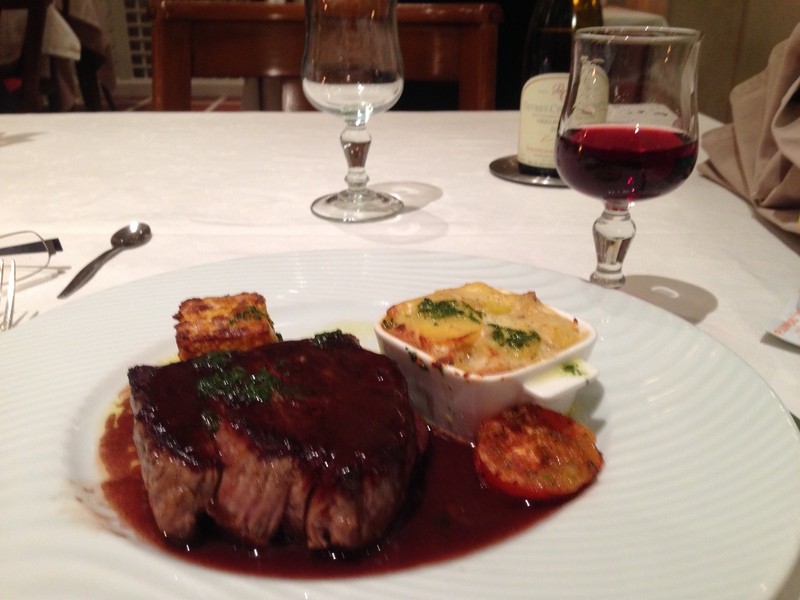 They love Burgundy wines and the food such as truffles and escargots. They know Beaune like their pockets and have found a wonderfully comfy appartment on three floors in the middle of the old city. 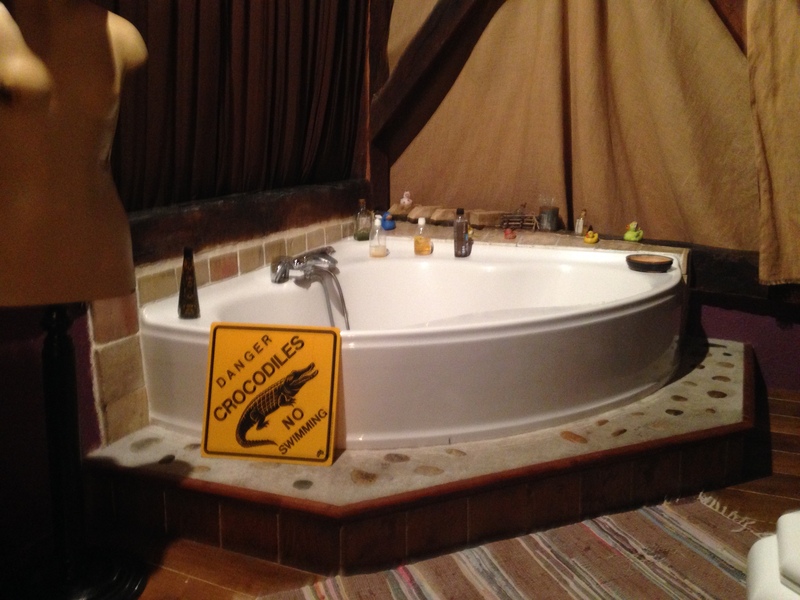 We share the apartment with some crocodiles. What I contributed from Switzerland was yoghurt, Birchermiesli flakes, rye bread from Wallis and Röschti (fried grated potatoes). One evening I prepared a Fondue. Switzerland’s well kept secrets are their wines – I took along a Pinot noir (is different from Burgundy wines, but also good), some Fendant (for the Fondue) and one bottle of Amigne de Vétroz from the Wallis (sweetish fruity). 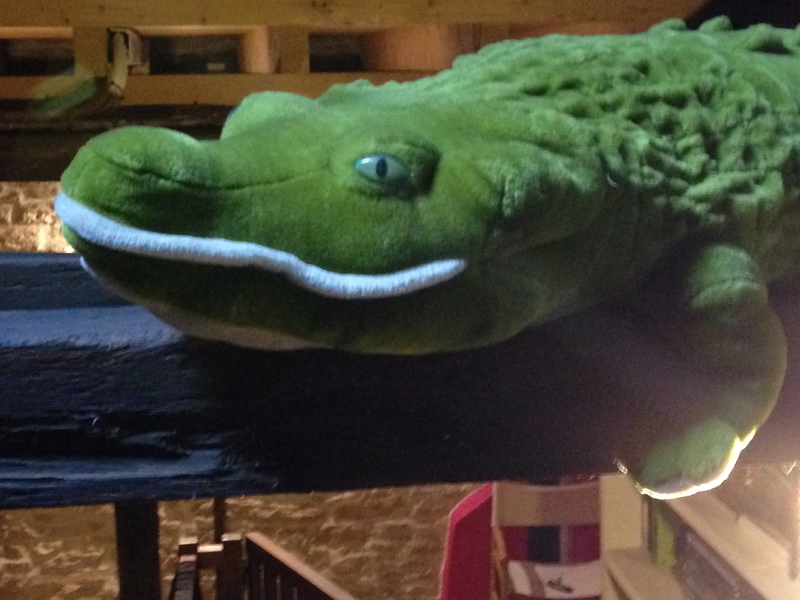 Also my Basler Läckerli were welcome – I admire Larissa – she has made Läckerli herself for the previous Christmas. 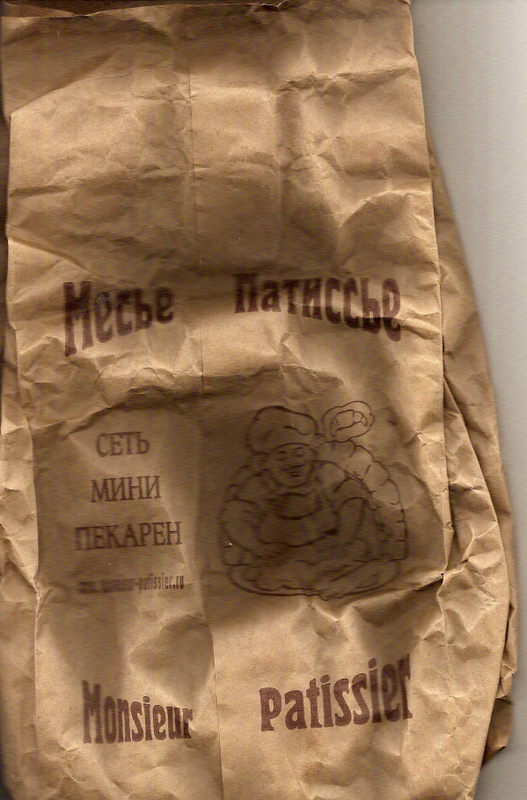 My Russian friends added some surprises to my Swissness. As a starter before the Fondue meal, Aljoscha prepared oysters and we ate them with a good bottle of Champaign. Then we moved on to the Fondue. 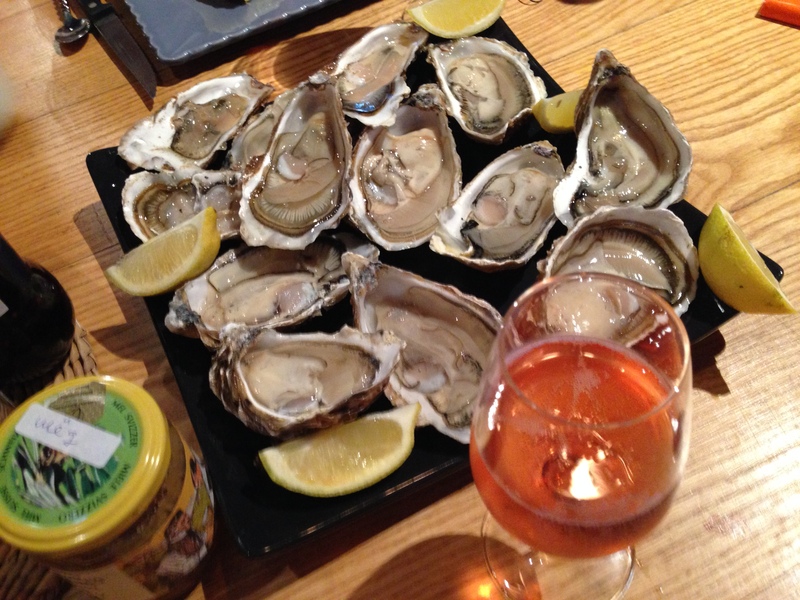 I laughed – I had never eaten oysters before a Fondue. For the Fondue, French baguettes are a perfect match; my friends added champignons and vegetables to dip into the cheese. When one of us lost his bread in the cheese, they all shouted like one voice: “Now YOU have to pay for the next bottle of wine.” My friends are polyglott. Because this is what we say in Switzerland. Larissa took the rye bread from the Wallis and knocked it on the table asking: “Do you believe, anyone can still eat this bread? It is as hard as stone” I took it and finished it off alone. This is what the rye bread is about: It is hard and it can be kept for months (almost). But I understand that my Russian friends could not understand this. Larissa asked me: “Do you think the Amigne goes well with Mont d-Or cheese?” “Yes”, I say – and in front of my eyes are a baguette, the fresh Mont d’Or and a glass of my sweetish-fruity Amigne to counterweigh the creamy cheese. I open the bottle and place cheese, bread and wine on the table. My friends shake their heads. They take the Mont d’Or cheese back into the kitchen, add a lot of gloves of garlic and melt the cheese in the oven. The cheese comes back on to the table with potatoes in their jackets. 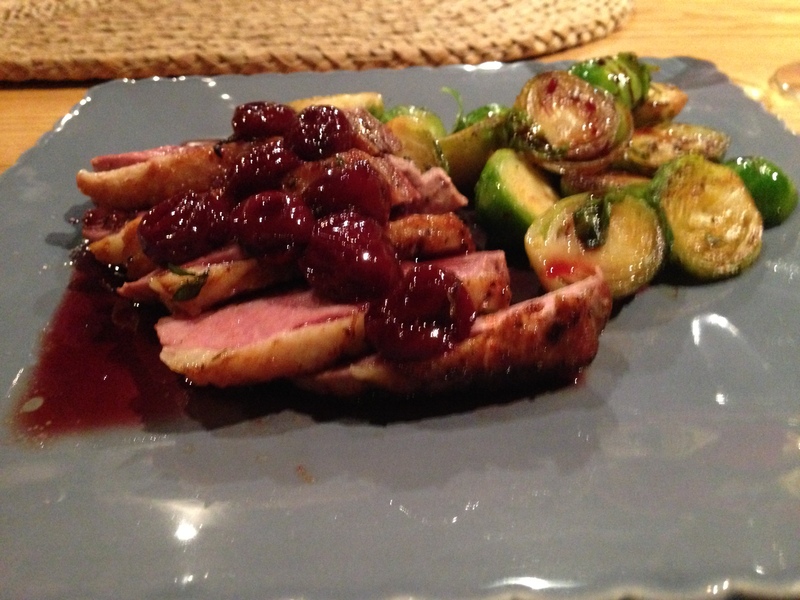 This is a tasty meal…. but not for my Amigne. They try the wine and rightly say “this wine is sweet.” I agree, I would never have served the Amigne with potatoes and melted garlic cheese. Back at home, I will carefully plan how to drink my next Amigne de Vétroz. And I will also remember that “Gschwellti” (potatoes boiled in their jackets) go well with melted Mont d’Or and garlic – this was delicious. 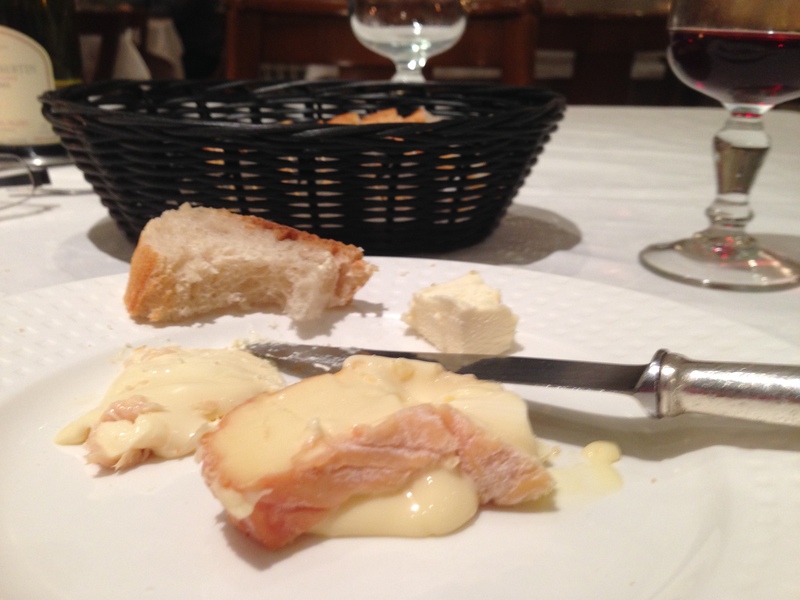 (In my memory, it was Epoisses cheese, and Larissa pointed out rightly that it was Mont d’Or cheese). 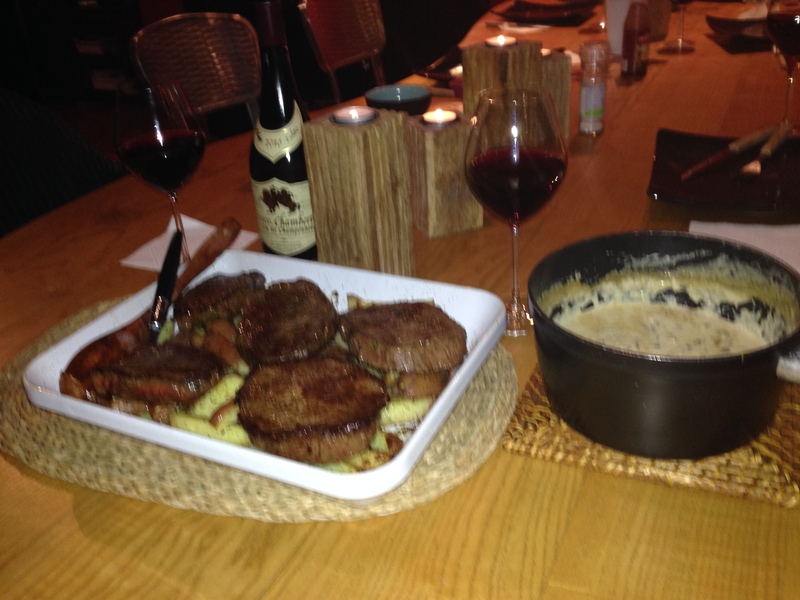 … and then filet with a tasty mushroom sauce made from mushrooms collected and dried in Russia. With our meals we drink one of the wonderful bottles that we have tasted during the day. 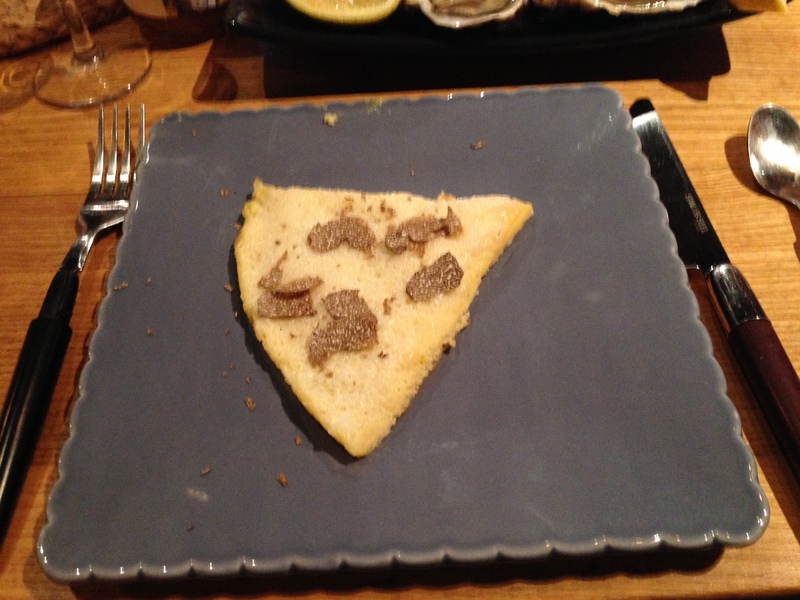 … and an omelette with truffles. Back at home I enjoy Russian culture with dried mushrooms (thank you, Katja, for giving me the remaining dried mushrooms – my mushroom risotto was delicious) and with Sushki (Сушки, thank you for having carried some in your suitcase for me). In her red wine suitcase, Larissa has carried a bottle of Pinot Noir 2011 from the Shea Wine Cellar in the Willamete Valley. This is a special gift for me. Back at home I read the Website about Oregon. It says: “If you were a wine grape, you’d want to be planted in Oregon.” Much farther north than California, the wines are fresher with more acidity. The Willamete Valley is “the home of cool climate Pinot Noir and Pinot Gris…” and 2011 was a good year for Oregon, says my Pocket Johnson. I had never thought of Oregon as a wine region. I am curious to taste the Shea, but this bottle will first go to my cellar. Thank you, Larissa, for allowing me to discover Oregon. And I still feel very bad for having broken the second mysterious bottle that you had brought from the US. 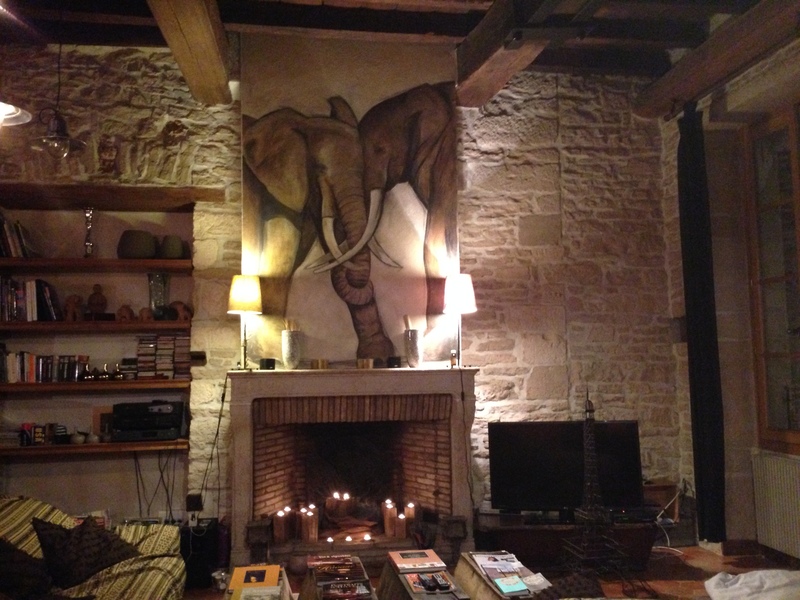 Yes, visiting Burgundy and adding the diversity of various cultures to the French joie de vivre was a great experience. We went through so many wine tastings and I learnt a lot about Burgundy. I enjoyed observing that my friends made their vacation a special event. If only Larissa and I would not have caught a caugh. 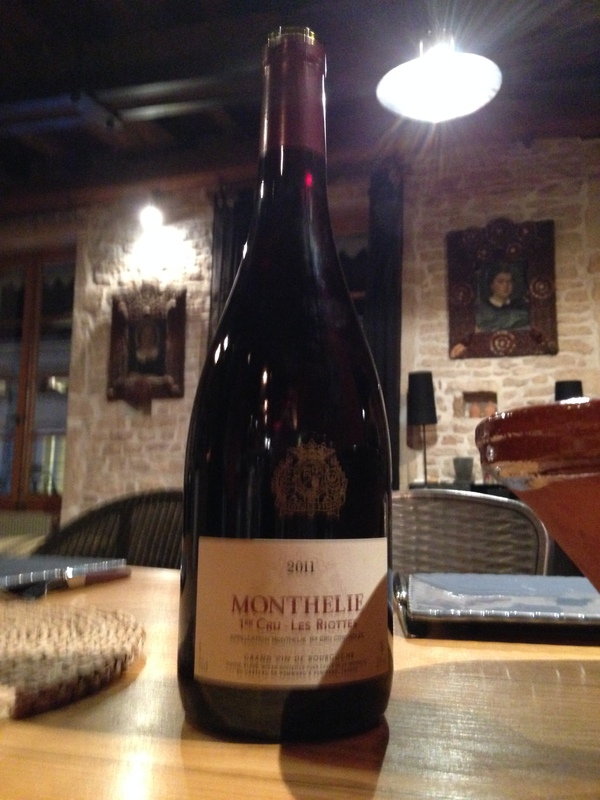 I do hope that you will come back to Burgundy next year… I keep my fingers crossed for the Rubel! Berlin never stops to have suprises for me. 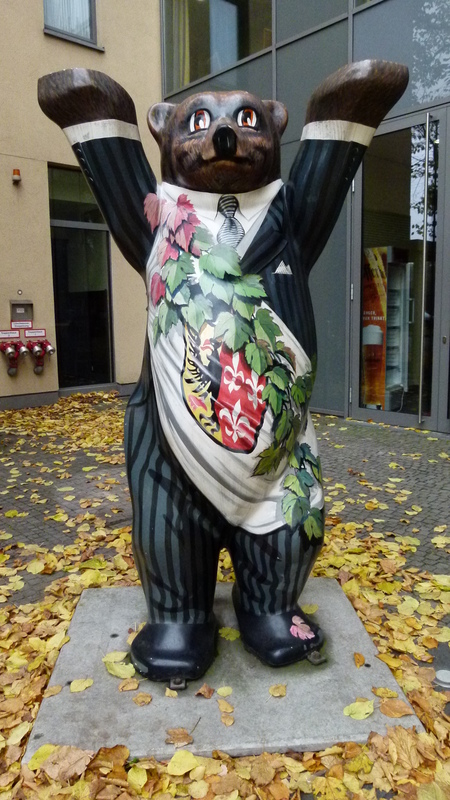 This time I explore the Reichstagskuppel and the village Rixdorf. 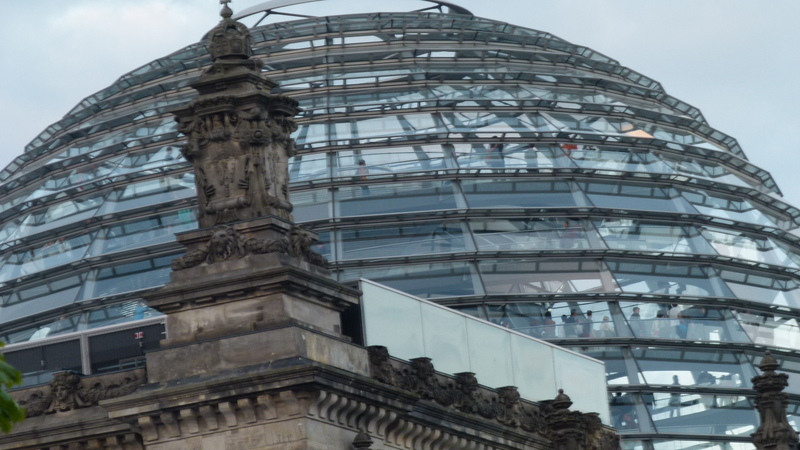 The architect Norman Foster has renovated the Reichstag incorporating modern elements. The most visible modern element is the cupola. The long queuing lines had always discouraged me to visit the cupola. To avoid the lines, Sabine has ordered tickets and reserved two seats in the restaurant Käfer next to the cupola. The cupola gives light to the plenary chamber with its white eagle. From the cupola we cannot see the plenary chamber. We walk up and down the revolving stairs and enjoy the view of the city. In the restaurant Käfer we share a meal – it is Buletten for me, the Berlin interpretation of “hamburgers” that my mum had often prepared, when I was a child. Today it is hard for me to imagine that the wall separating West and East Berlin was right behind the building of the Reichstag – but I remember those years. 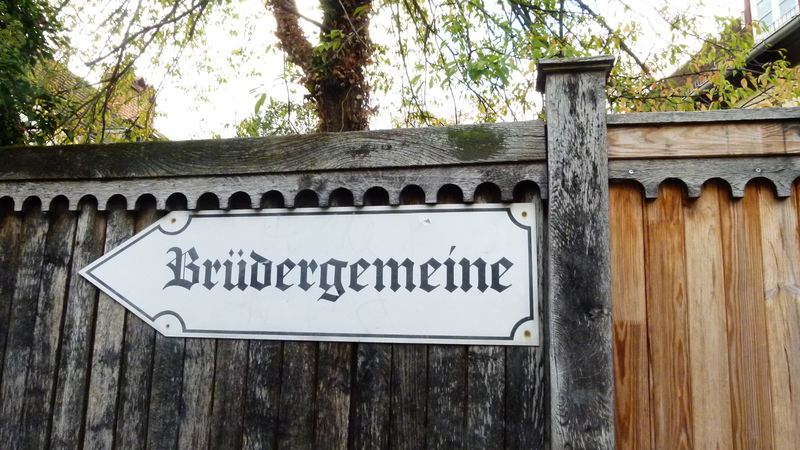 One afternoon, my friend Antoinette takes me to Rixdorf which is part of Neukölln. “In search of Rixdorf” is a blog that nicely tells about the history and the ambiance today. In 1737 King Friedrich Wilhelm I. had invited protestants from Bohemia (Böhmen) to settle near Rixdorf. 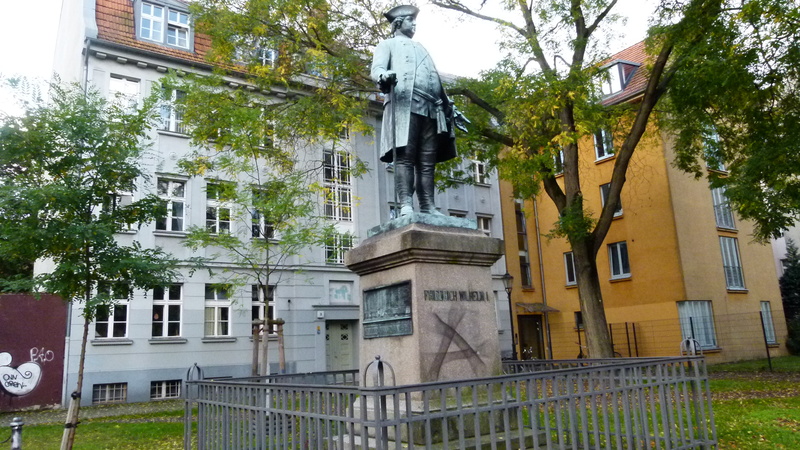 Here he is – proudly overlooking the Richardplatz. This square is at the heart of Rixdorf. This panel points to the Bohemian brother community of Rixdorf. The Bethlehemkirche (church) at Richardplatz dates from the late 14th century. It was rebuilt after a fire in the middle of the 17th century reusing the old gothic elements. The entrance is below the surface of the Richardplatz. 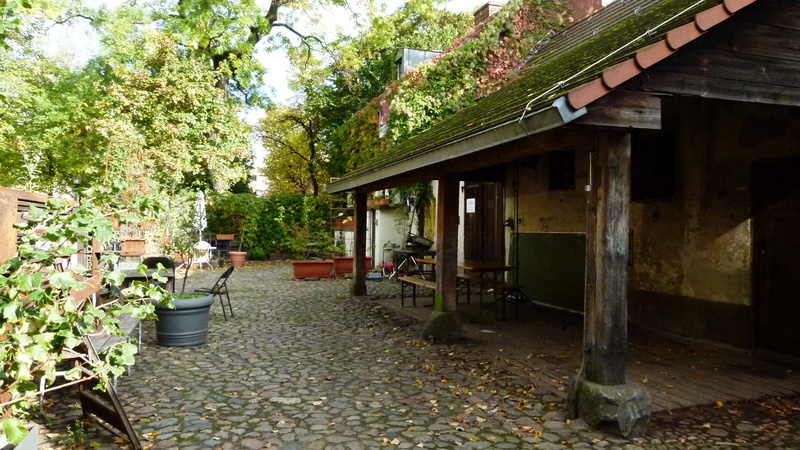 The Rixdorf of the Bohemians has kept its rural character. We stroll along the cobbled streets. Returning back to busy Karl Marx Strasse, we stop in the Café Rix (Saalbau Neukölln) to share a cup of coffee and a piece of cake in the inviting garden. On the way to the metro, we come across the Rathaus Neukölln. At Hermannplatz we take the metro U7 that rattles under the ground. In the dark tunnels, Antoinette sighs: “I prefer to travel above ground”. 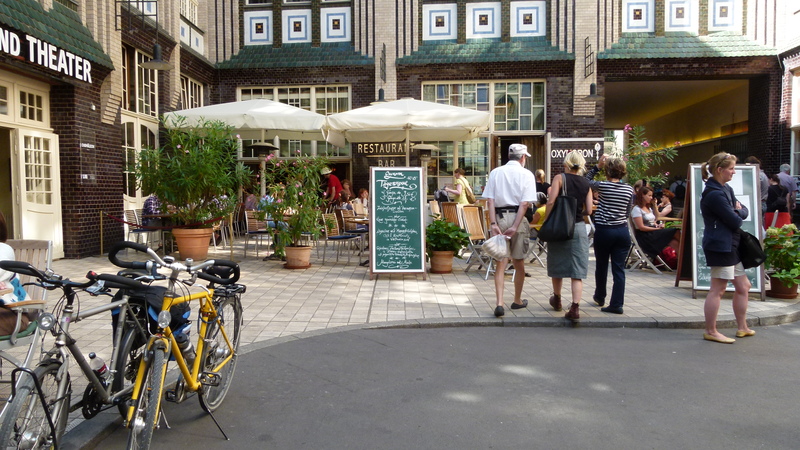 We soon say good-bye and I continue my way underground, back to Theodor Heuss Platz and the comfy hotel Kastanienhof. Thank you, Antoinette, it was a great experience to see the village of Rixdorf – one more village that also is part of the big city of Berlin. Berlin never stops to have suprises for me. the Martin Gropius building with an exhibition about the Vikings. Of course I had often looked at the Berlin Philharmonie, the concert hall with the courageous tent like roof that caused it to be called “Circus Karajan” (according to the famous conductor of the time). The concert hall has been built in the sixties of the last century. 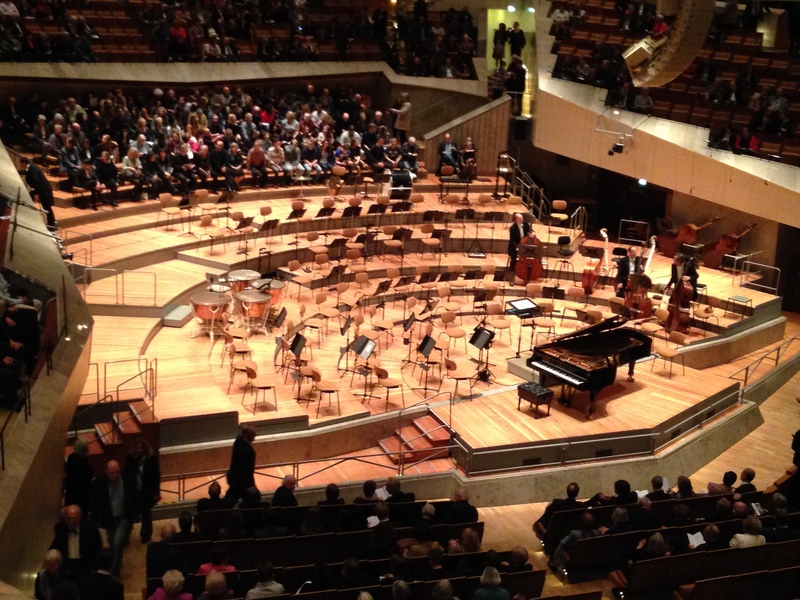 Now I entered the Berlin Philharmonie for the first time. 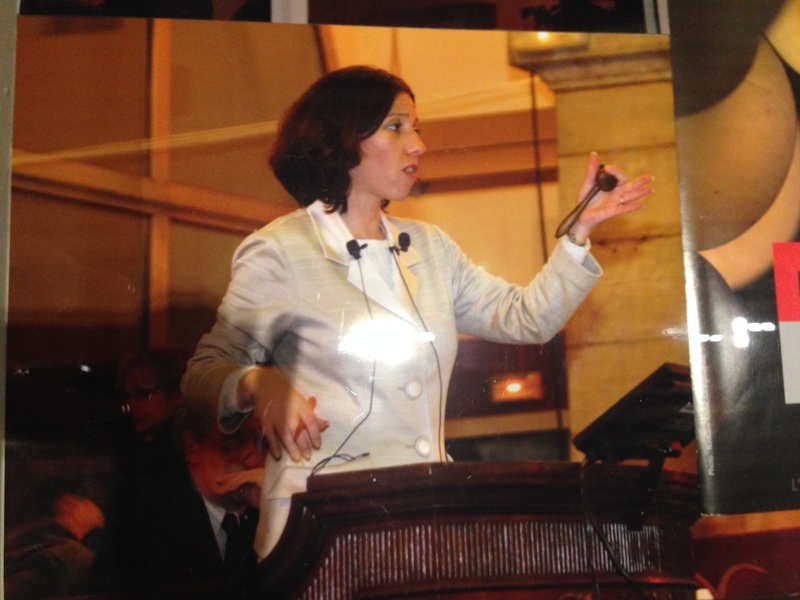 Sabine noticed that there are still tickets available for the concert of the promising young conductor Andris Nelson. He conducts a piano concert by Mozart, “Burleske” (also with piano) by Richard Wagner and “Also sprach Zarathustra” by Richard Wagner. Emanual Ax will play the piano. We order tickets for Friday, October 17th. Entering the Berlin Philharmonie, I indeed feel like in a circus. The roof is hanging high above us and we reach our seats using a maze of staircases. On the way to my seat, I notice the Sony Center just in front of the window. The Sony Center? So close? Hence they have built the concert hall in close vicinity of the Berlin wall! 50 years ago they built it at the periphery of West Berlin, overlooking the muddy grass pit that then was the Potsdamer Platz. And now, the Berlin Philharmonic is rounding off the burstling Potsdamerplatz that has emerged simce the wall has disappeared. I take my seat. 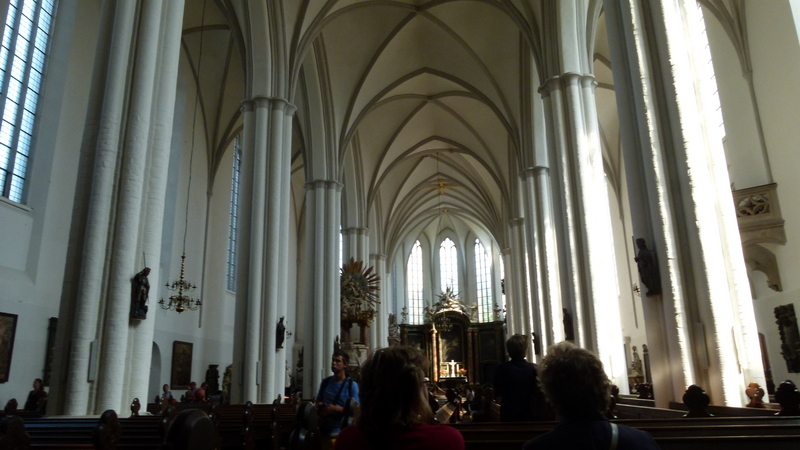 Below me there are the fortepiano and the empty places for the musicians. Almost every seat in the audience is taken. I enjoy the concert. The young conductor is full of energy. I notice myself copy his movements (more in mind) – for me they “reflect” the music. Mozart’s harmonies always calm me down. The Burleske of Strauss I find more difficult to listen to. In the lucent wood above the piano keys I sometimes watch the agile hands of Emanuel Ax. After the break, “Also sprach Zarathstra” starts very loudly. Nelsons conducts a much larger orchestra now. The banging start is too loud for me – like a shock. But the critique seems to like this start. As the flow continues more quietly, I try to understand, what Zarathustra is saying. While I liked to watch this conductor that shows emotion, the critique concludes that Nelsons has not yet reached the maturity to take over the Berlin Philharmonics from Simon Rattle. Well, I am not an expert at all. Can it be that the high average age of conductors determines, how much body movement ia allowed to young conductors? 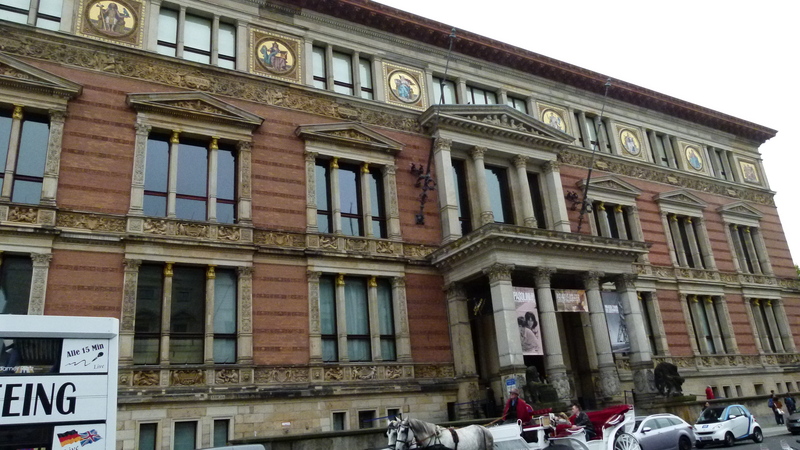 Just next door to the Berlin Philharmonie, there is the Museum of Musical Instruments. 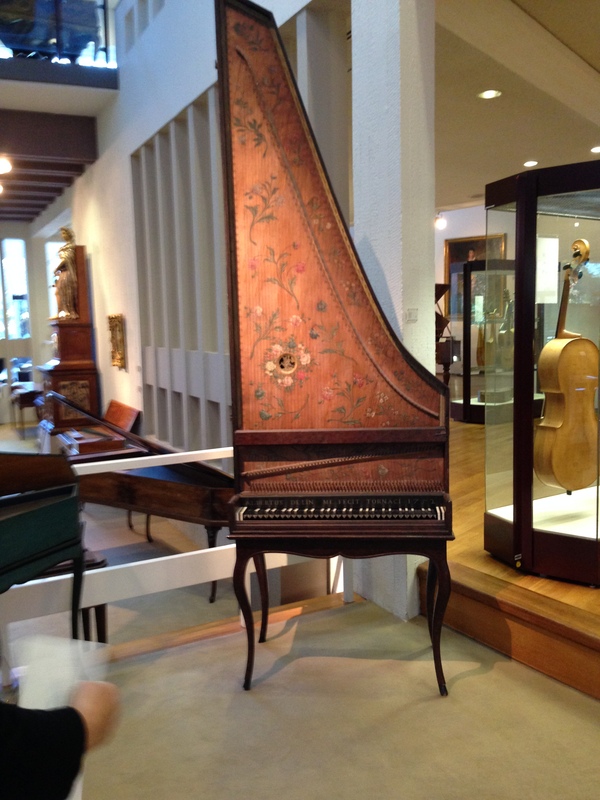 Wikipedia says “The Museum holds over 3,500 musical instruments from the 16th century onward and is one of the largest and most representative musical instrument collections in Germany.” Here is a selection of three instruments. 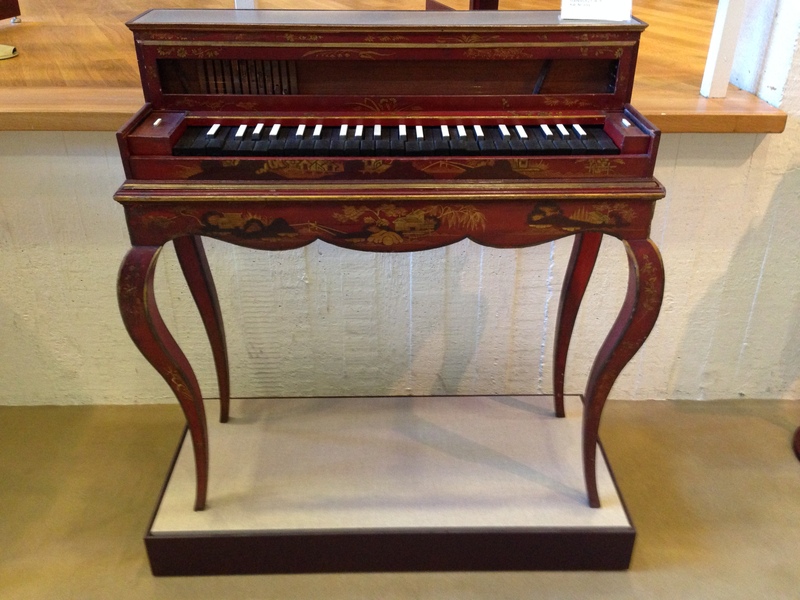 The museum is also proud of its mighty Wurlitzer. On Sunday October 19th, the museum invites for the “Fest der Freunde” (party of the friends) to celebrate the foundation of the society that will support the Museum of Musical Instruments. Antoinette, my friend from school times, told me about the event. Conny guides through the museum, explains the background of the key instruments and has samples played (sometimes she plays herself). Andreas presents his evaluation of one clavichorde from around 1800. 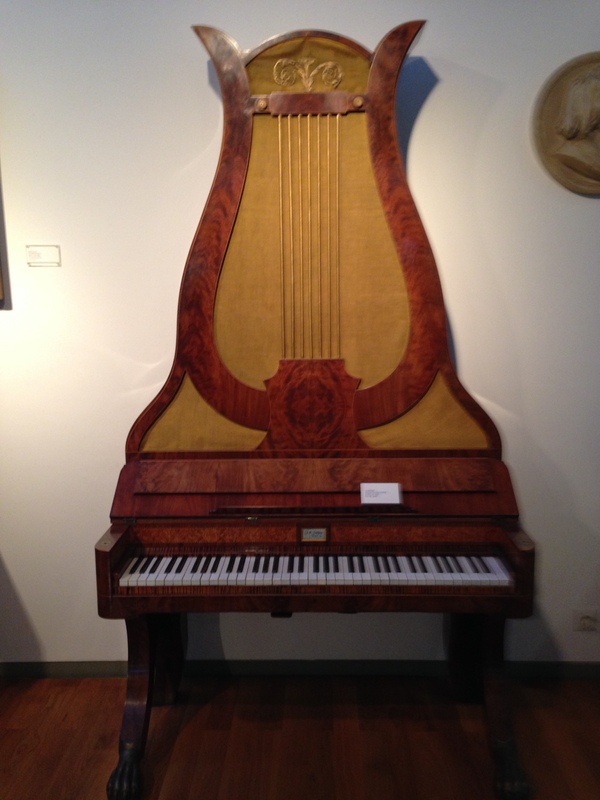 It has very unusual design, as it has a second sound board and the sound board is not well strutted. The builder wanted to make the clavichorde louder, but this design made the instrument less loud. “I think this is not a good development”, Andreas says politely. Now he considers to renovate the clavichorde as is – and then it cannot be played well – or to document the status and reonovate it such that it can be played properly. Very interesting. Also not far from the Potsdamerplatz there is the Martin Gropius House. Gropius? I expect a modern building in the Bauhaus style. And then – I find this classical late 18th century building. The explanation: Martin Gropius is not Walter Gropius, but his great uncle. Walter Gropius was a member of the Bauhaus, not Martin. And this is why, it is not a Bauhaus building, but has a more classical appearance. The Martin Gropius House hosts excellent temporary exhibitions. Currently there is an exhibition about the Vikings. In the central court yard there are the remains of a boat – a viking longship. It was 37m long. Just the wooden bottom of the ship has been preserved. Metallic sticks have been added to give the idea of the longship. A lady teacher explains the boat to her boys and girls. Her presentation is lively and highly interactive. To round it off, she asks the children to draw a boat. One boy draws a wonderful sailing boat with a huge veil that inflates in the wind. He shows it proudly to Sabine. Detailed topics are elaborated in the rooms around the central court yard. We have received audio guides with one track for children and one track for grown-ups. We both prefer the track for chlidren. In a dramatic tone, the voice says that Harald Blauzahn had a challenging life. In the tenth century he ruled over Denmark and Norway. He was invading the Normandie – successfully -, but Otto I (the strong ruler of the Holy Roman Empire of the German Nation) withstood his attacks. Harald Blauzahn adopted the Christian religion. On display is his rune stone that says: “King Harald ordered that this monument was made for his father Gorm and his mother Tyra, by Harald who subdued Denmark and Norway and converted the Danes to Christianity.” After the visit I google a bit, and I discover that I have met Harald Blauzahn before… under the name of “Bluetooth” which is a communication protocolle named after “Harald Blauzahn” – or “Harald Bluetooth”: The logo shows his initials in rune script (source: Wikipedia on Harald Blauzahn; see also the report of Stern: “Ein Wikinger namens Blauzahn“). The Vikings were feared for their attacks, especially along the Atlantic and the Mediterranian coast line as well as along the rivers that they could reach from the Baltic Sea. They also traded. Some of their trading ports were Novgorod and Kiev. They founded the Kievian Rus – the Ruriks were the first Russian emperor dynasty (until 1610). The vikings also settled in Greenland and found North America. The rooms around the central yard illustrate their achievements. In the 11th century one of the Viking trading business models was no longer applicable: Christianity did not accept slavery between fellow Christians. The northern Christian kingdoms started to emerge (see Wikipedia about the vikings). Well, Berlin always has some new insights ready for me. I enjoy the humor in Berlin. For instance the buildings all have an official name as well as a second name. – such as the Victory Goddess on the Victory Column in Tierpark is called “Goldelse” (Golden Elsa). 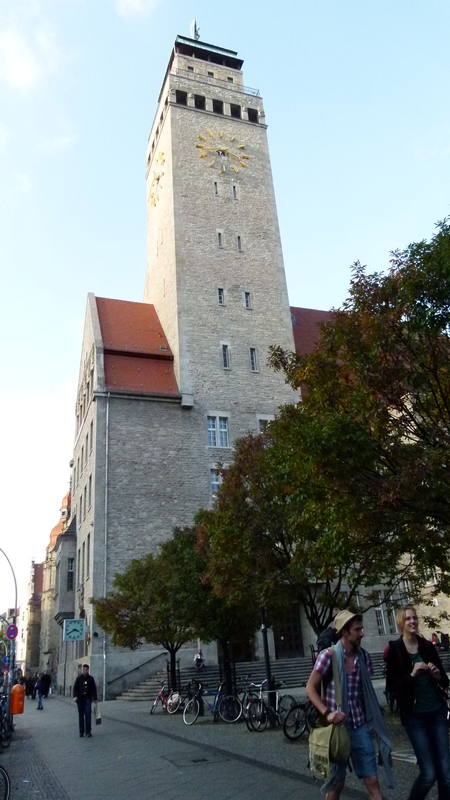 The Funkturm is the “Langer Lulatsch” (Long Guy). The TV Tower is named “Samkt Ulbricht” (after the GDR minister Ulbricht) or “Die Rache des Papstes” (The Venge of the Pope), as it shows a cross on the restaurant platform, when the sun shines (unthinkable for the GDR). The University Library has always been the “Kommode” (Commode, also my mum would always talk about the Commode). The Congress Hall is the “Schwangere Auster” (Pregnant Oyster), because of the shape that reminds of an oyster. There are many more of these surnames – and they are consistently used in Berlin. The people from Berlin are also good at telling anectodes. I like this one (though it is a little chauvinistic): Two cars stand in front of the red light, in the first car a lady, in the second car an impatient man. The light changes to green. The man shouts at the lady in the first car “Jriener wird’s nicht mehr” (it will never become greener or grüner wird es nicht mehr). 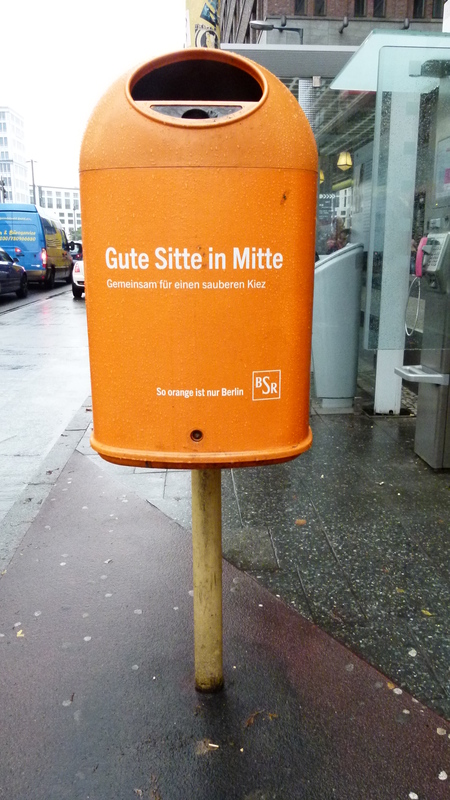 With humor the government of Berlin now tries to motivate the population to use the rubbish bins. This one says “heap helper”. 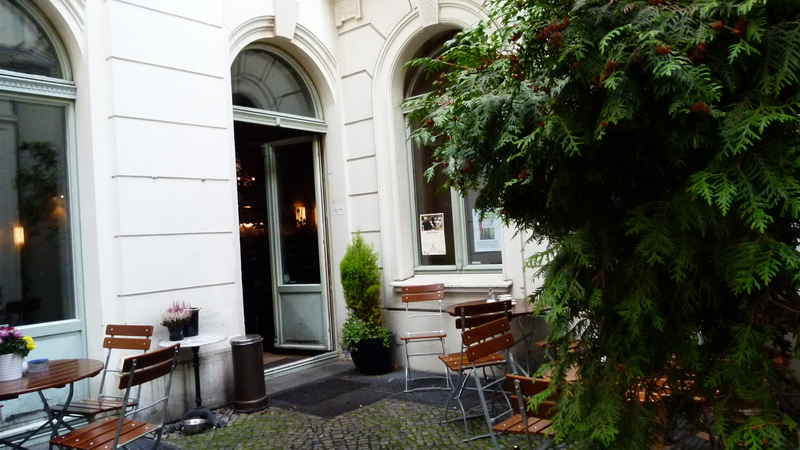 Obviously a success – I have not come across any of these small heaps in Berlin. And in this bin we can save CO2. 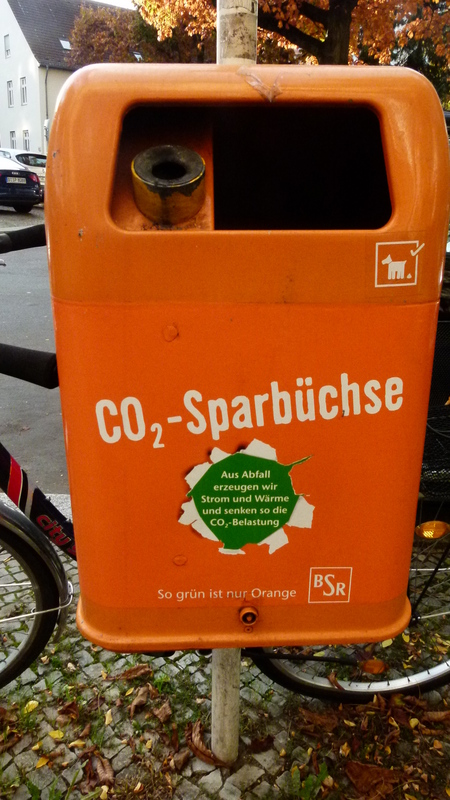 Literally it is a “savings box for CO2”. 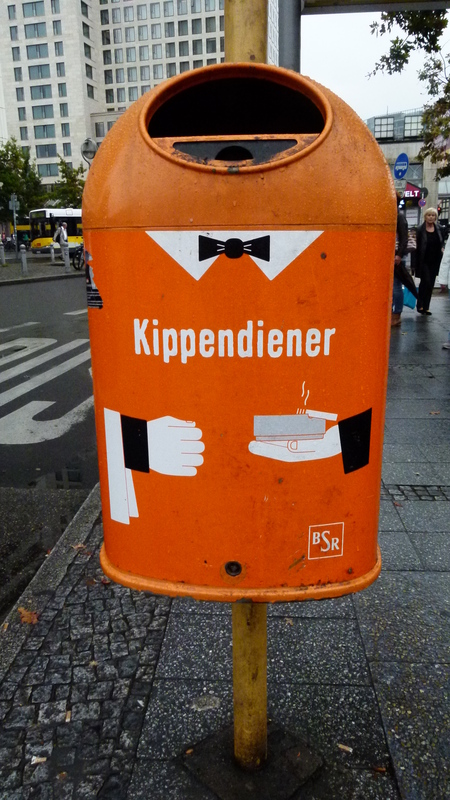 The last bin in these series just reminds to behave properly in the city center or in the middle of Berlin (called “Mitte”). 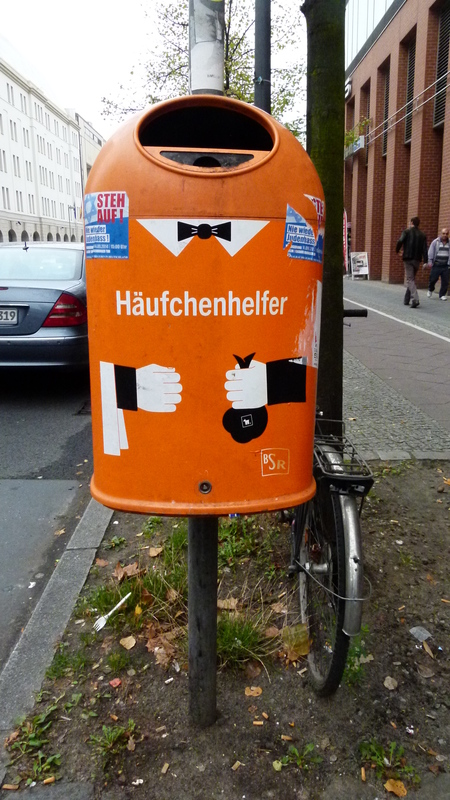 Literally: “Good manners in the metropolitan area “Mitte””. This rhymes well in German. The traditional Berlin dialect that my mum spoke has almost disappeared in Berlin. I enjoy to hear it, when I come across it. Near Alexanderplatz I was not sure whether I found the right bus to Pankow – and the driver said simply: “Gen Se rin” which in Berlin slang means “enter” (Gehen Sie hinein). The slang is now almost restricted to former East Berlin – and it has a slightly rough and at the same time humorous touch – like some of the slogans on the rubbish bins. 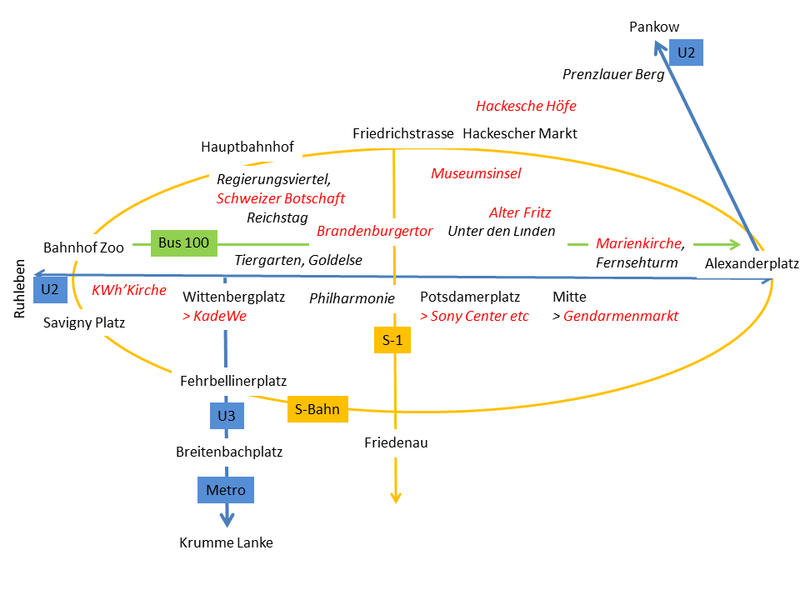 This is a very simplifiied map of Berlin with “my” main traffic lines: The S-Bahn, U2 and Bus number 100 between Bahnhof Zoo and Alexanderplatz are a wonderful way to explore the sprawled city center of Berlin – and to say hello to my favorite places – all in one. I take the metro U2 and leave it soon again at Bahnhof Zoo. The metro “disgorges” me just in front of the “Puderdose” or “Powder Box”. This is the nickname that Berlin gave to the modern Kaiser Wilhelm Gedächtniskirche. 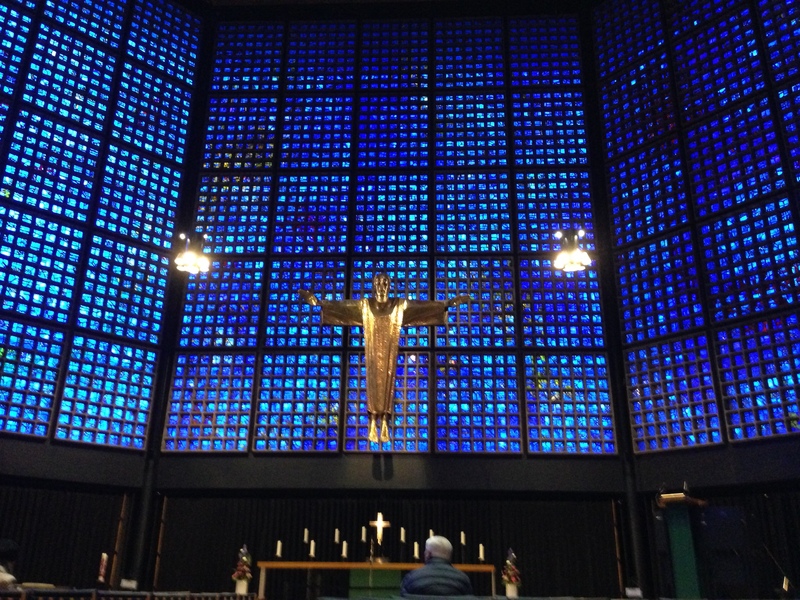 I love to welcome Berlin in the “Powder Box” with its blue stained windows and the golden sculpture of Christ. I stand still for a while and breathe. 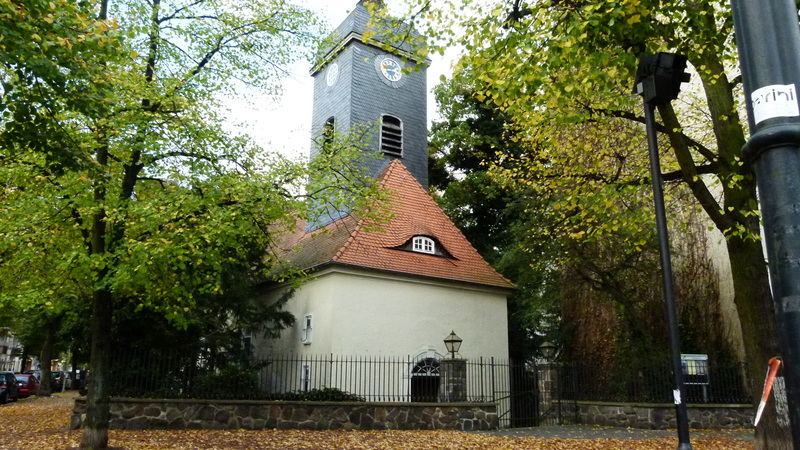 Outside are the “Hollow Tooth” (the nickname for the ruins of the old church) and the Lip Stick” (the new church tower). This is an older picture, the “Lip Stick” is currently under renovation. 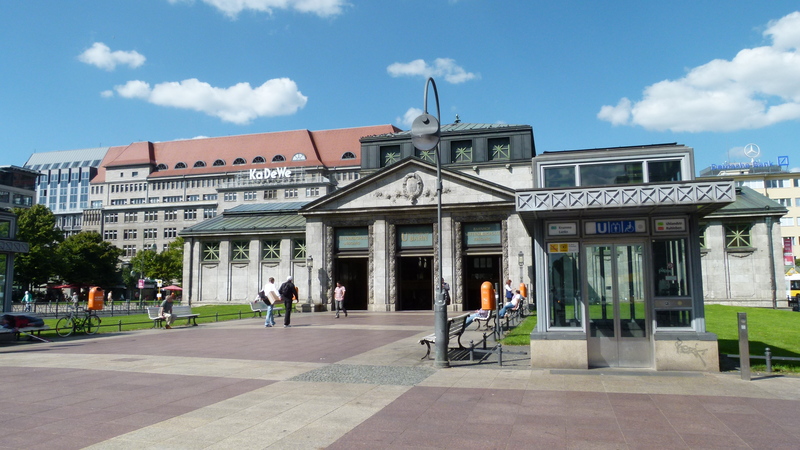 I stroll down Ku’damm and Tauentzienstrasse towards Wittenbergplatz with my favorite metro station and the “Kaufhaus des Westens” or “KadeWe”. 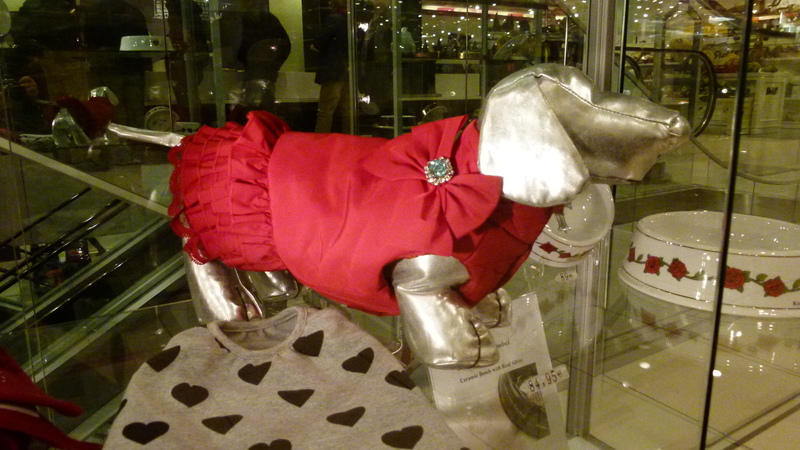 KadeWe is a posh shopping mall that even has great design for dogs – well, perhaps I would not dress up my dog like this, if I had one. The 6th floor hosts delicacies from wine, chocolate, fish, oysters – just about everything… I will come back for lunch to eat a Bouillabaise and later to eat a shrimp soup (Büsumer Krabbensuppe). 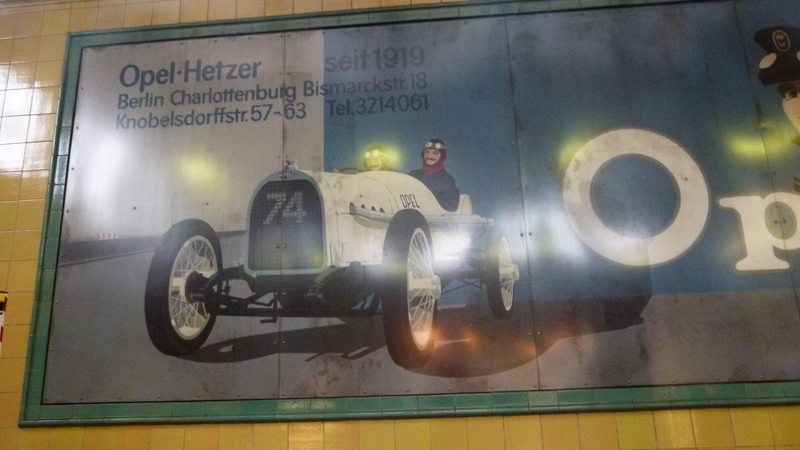 there are posters from the twenties in the last century – like this one announcing the “newest” Opel-Hetzer – well it was new at the time the metro was constructed. I catch U2 again, and a few stations later I am at Postdamerplatz. 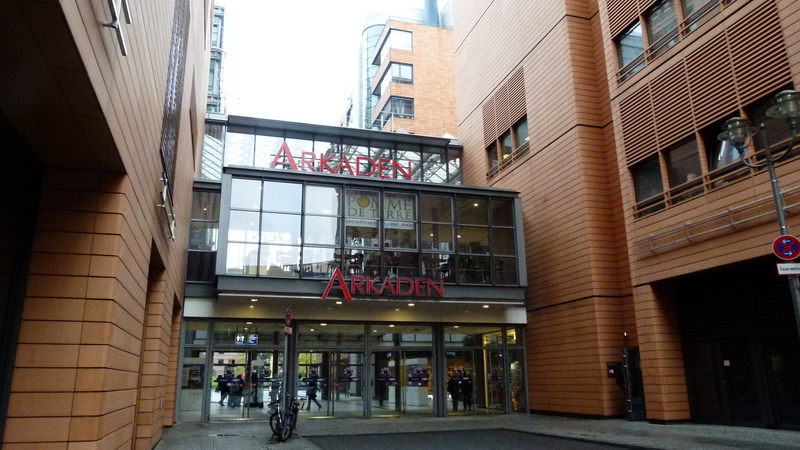 I feel very small between the skyscrapers – among them the Sony Center – and enter the Arcades (Arkaden). 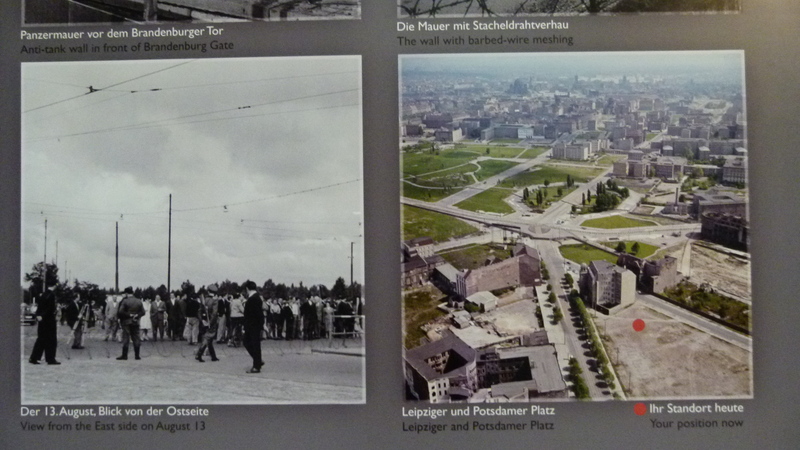 There is an exhibition about the Berlin wall that separated the town from 1961 (though Ulbricht said that no one could think of building a wall) up to 1989 (when the iron curtain fell and people climbed over the wall). Pupils walk around with questionnaires. One boy looks at me: “Do you know the answer to this question – does the wall (or their remains) belong to the Unesco world heritage?” I frown. I cannot think that anything that dreadful is eligible for the list of world heritages. The answer is in wikipedia: The wall has been proposed, but not accepted. The boy apologizes: “I have a disorder that cannot be diagnosed, I always make mistakes, when I write.” I frown again. I remember that at school my teacher was desparate about all the orthograpic corrections in whatever I wrote. I say: “I have had that as well, it has never been diagnosed and it disappeared.” The boy looks at me and repeats in earnest: “I have an undiagnosed disorder…” What are these school psychologists doing to the kids today? Destroying their motivation to learn and improve? Again I go down under earth to take U2. I leave it at “Berlin Mitte”. The metro disgorges me just in front of the German dome that marks the southern end of the Gendarmenmarkt. To the north is the French dome. Do I feel like a coffee? There are many inviting coffee places here. No, not yet. I go back to U2 to leave it again at Alexanderplatz. 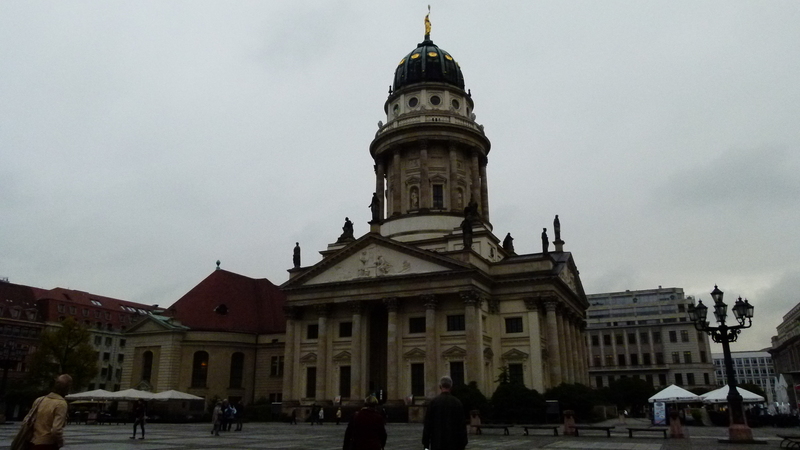 From Alexanderplatz I walk over to the all dominating TV tower and to the Marienkirche. The TV tower shows no cross on the restaurant floor today, as the sky is cloudy (there is a cross, as soon as the sun shines, and this is why the tower is called “Sankt Ulbricht”). 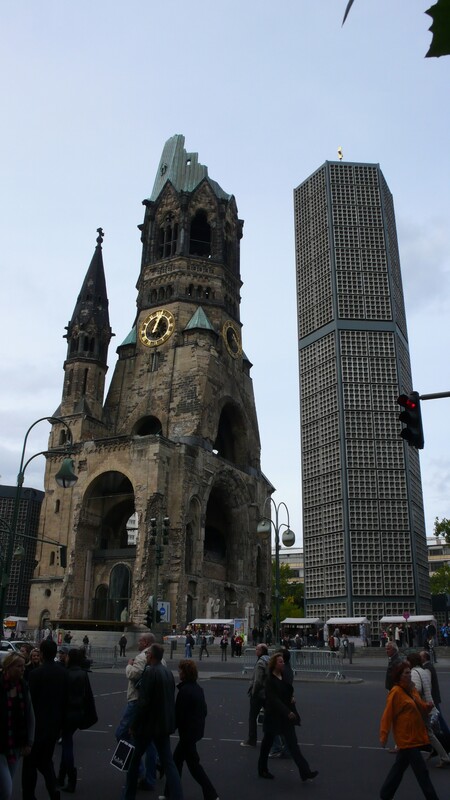 The Marienkirche is one of the oldest churches in Berlin, from the 14th century. Just across the street there is a bus stop. I catch bus number 100 here to take my way back to Bahnhof Zoo staying above the ground. We roll along Unter den Linden with the Museumsinsel (my favorite: The Pergamon museum and the museum of German history). 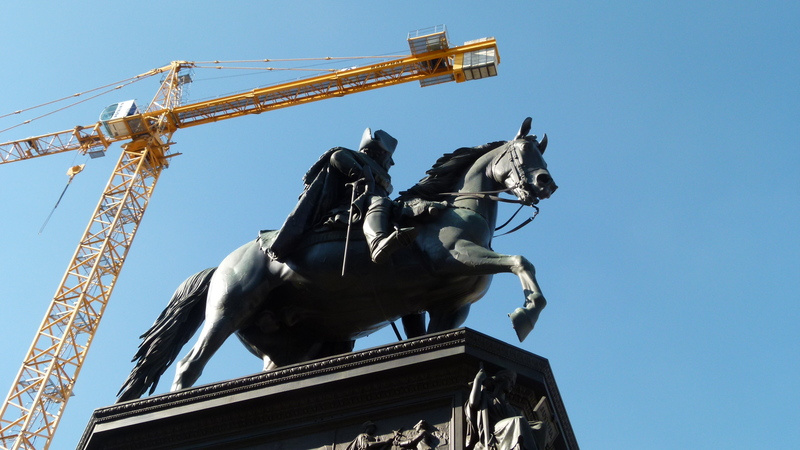 The Prussian king Frederic the Great (nicknamed “Alter Fritz”) watches his castle now being reconstructed. May be “Alter Fritz” frowns a bit, as for now his castle are nothing but walls made out of concrete. I do not think that he has ordered these construction techniques to be used. After having crossed Friedrichstrasse, we can see the Brandenburger Gate. Bus number 100 turns northwards to the Reichstag and traverses Tiergarten with the Victory Column (“Goldelse”, as Berlin calls her). Eventually we reach Bahnhof Zoo, the endstation. Later I come back with Sabine, my friend, to take the S-Bahn from Bahnhof Zoo. After the Hauptbahnhof, we stand at the window in order to not miss the quick glance of the Swiss flag amidst the German government buildings (“Regierungsviertel”). Switzerland owns ground here and has built its embassy. 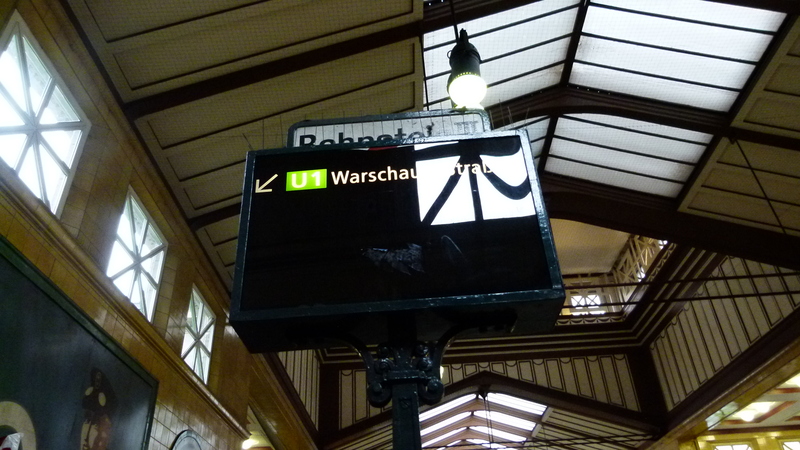 Shortly afterwards, the S-Bahn stops at Hacke’scher Markt. 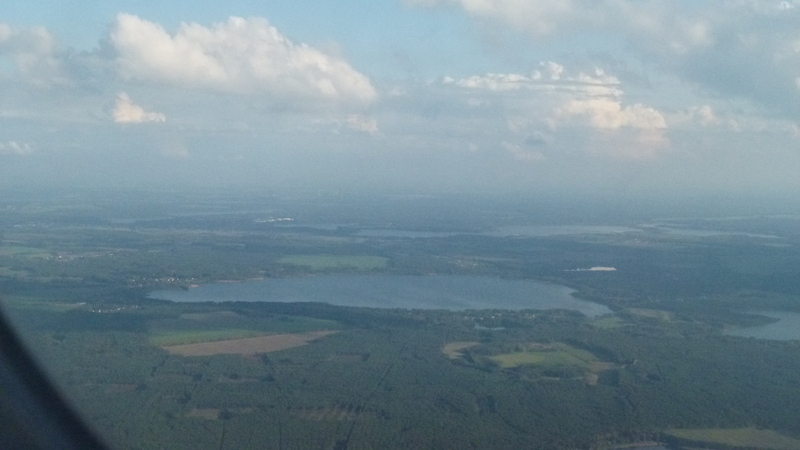 From here it is a few meters to the Hacke’sche Höfe. We both love to come here. We buy some small Ampelmann gifts. We enjoy the elegance of the Royal (KPM) porcelain . I have Klopse in the restaurant Oxymoron. With Sabine’s advise, I buy a waterproof raincoat at the FREItag shop. It is a black trenchcoat with a colored pattern at the sleeves and the collar. There is always something to see and do in the Hacke’sche Höfe. Well, yes, many people complain that this is no longer what the Hacke’sche Höfe have been before 1989 – but I think times are allowed to change, and Berlin has changed a lot since then, not only in the Hacke’sche Höfe. Again, the S-Bahn, U2 and Bus number 100 between Bahnhof Zoo and Alexanderplatz have proven to be a wonderful way to explore the sprawled city center of Berlin. Basler Fasnacht/Carnival: Impressions from the Ladärne Uustellig/Exhibition of lanterns, starting with some local topics. Insights on the road - this is what I am sharing. After having retired, I am on the road towards new business opportunities (consult & engage). I am also on the road discovering countries and people (travel spotlights). While on the road, life keeps surprises and insights (essays and élucubrations).